Back when the first Deadpool movie was released, a giant Deadpool statue was wheeled around Tokyo on a flatbed. 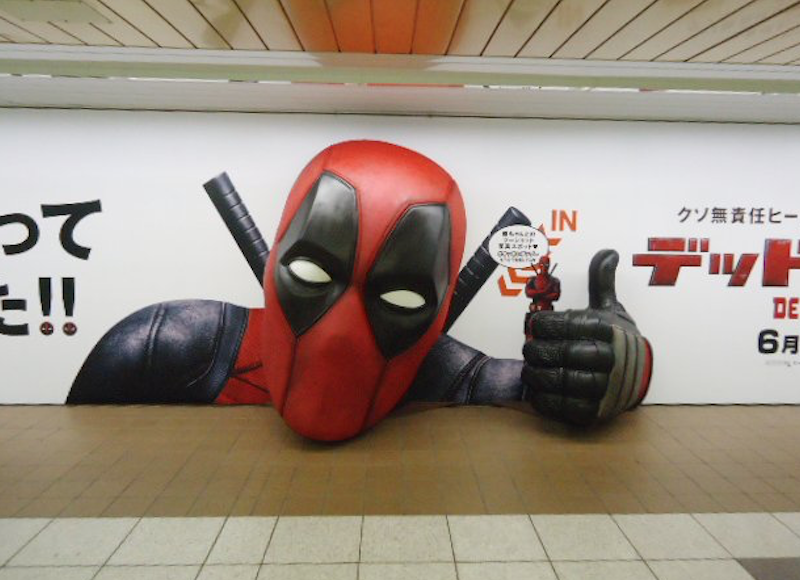 Now that there’s a sequel, a huge Deadpool head has been erected in Shinjuku. This is reminiscent of the huge cat head billboard that appeared in Tokyo a few years back.